Do you know what sort of Interview You are Attending??? Interviewing is a skill that one perfects over time. Not only do you need to prepare, but you need to find out what sort of interview you will be attending. Knowing beforehand means you get to prepare well to ace the said interview. If you are working with a Recruitment Firm, always ask them to specify the kind of interview you have been invited to, the Hiring Company’s expectation and who will be the panelists. Today, we will to focus on the Structured Interviews and incorporate a format of how that would look like. Structured Interviews are very consistent in nature as they ask the same questions and they have preempted answers in the case of a competency-based module. They have a grading system and are scientific in nature. They are majorly done by a panel of interviewers as they would want to get the average points on the candidate’s performance. Companies are adopting this interview style due to its consistency format. Some will mix it with case studies for senior roles. How would a Structured Interview look like, especially sample of a type of a Competency-Based One? The first section would be about yourself: This is more of your schooling, the grades, any awards, any professional qualification related to the job etc. For example, If we have two candidates for a Marketing Job; Both have undergraduate degrees in Marketing with First Class Honors and one of them has the CIM Certification; the one with the extra certification automatically scores higher in this section of Academic Professional qualification. Once they establish the relevant competencies, questions are set around the same with the generally expected answers. The best way to answer them is always linking the answers to your actual experience. For instance, if asked about Commercial Awareness in Marketing – You would answer then demonstrate that by giving previous examples of projects worked on. Keep in mind that it is not the length of your answer, but the content as the Interviewers do have a guide on what to expect for set questions. This part is very important as is the only way the panel can determine if you really can do the work or not. They will be basing their decision on your ability to demonstrate the competencies from your previous experience. Third Part would be a Behavioral Component. If you are well prepared, you will have several examples. It is advisable to think through your career history and in line with the Job Description, write down examples for each of the competency components of the expected behavior trait that you feel may be asked. This way you will be ready when the questions are asked. Yes, they do grade this! So have your questions ready. Otherwise, you will lose points and even a 0.5 mark makes the difference on whether you move to the next stage or not. They will want to know, were your questions thoughtful? Relevant? Did you do your research about the Company? Are your excited about the Job and more so joining the Team? The final part is where they ask about your salary expectation, notice period and if you have any benefits you would want to be matched. This is not graded. This process is repeated for all invited candidates, and each Interviewer does their own grading. They may want to compare notes once done e.g if there is a big disparity and get to discuss why someone gave higher marks and another gave way lower marks for the same question answered by the same candidates. They will then hand over the individual results to the HR department who will tally and prepare a final report. Based on the final report, the highest scoring candidates move to the next stages i.e Reference, security vetting and background checks if that was the interview or to the next interview stages. Other candidates who did not make it will receive a Regret email or call as a best practice in Recruitment. In our next articles, we will look into the Common Behavioral Questions and how to answer them. 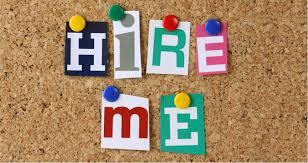 We at Crystal Recruit do walk with our candidates and make sure they are well prepped for interviews with our clients. The Salary Question – Important yet Tricky! Over the years as a Recruiter, I have interviewed many candidates and a majority do stumble when you ask them their Salary Expectation. It seems to be one of those questions that candidates would rather not be asked. Perhaps, a reason is that there is no specific way on how to answer the question. So it becomes the tricky question that keeps popping up in your interviews. I mean, you may quote a figure too high and lock yourself out of a Job Opportunity or you may quote a figure too low that you end up being miserable when you start work and realize you could have gotten a better deal. The question can get harder to answer if it is an electronic job application where you must give a figure before moving to the next steps. So, what are some of the easiest answers to give when asked about your salary expectation? One of the common ones, ” My expectation is in line with my skills and experience and also in accordance with your compensation structure” – This answer leaves room for a bit of flexibility where one is not tied down to a specific figure. In a sense, if the pay graded structure is low when compared to your skill set, then you can negotiate upwards. And if the company’s pay structure is above your expectation then you still win and as you did not lock your self out. There are those who would target a fair rise from their current employer e.g 30% more to their current Gross Remuneration. The challenge with this is that more often than not, it forces the candidate to disclose their current earnings. We have debates on whether to disclose current earning or not or if it should be a factor during the hiring process. The market averages for increment when bench marking from current salary is usually 20% – 30%. When giving this type of answer, remember to give a figure that you are comfortable with. Another possible way to answer is by benchmarking with similar companies, or similar positions in the industry. Hence you can say, “I understand that positions similar to this one pay in the range of X to Z in our Country / Industry. And with my experience, would like to receive something in the same range.” – This answer gives you an opportunity to negotiate based on the findings and on your skills. It also shows that you did your research and have a rough idea of how the market is. Some companies have a strictly structured pay scale hence they may not allow any form of negotiation. It would be prudent for you to conduct your research before hand to know whether the company you are interviewing with has such strict policies and if your expectation falls within their scale. This is because such a company can only give you an offer within their range and mostly start from the lowest so as to allow room for yearly increments. Majority of the Employers start low, meaning if you are to give a range, then more often than not their offer will start from the lowest range that you quoted. Be sure to quote a minimum that you will be happy with if offered the same. Be comfortable in putting a value on your skillset and talents. As long as you have done your research and are sure you are worth what you are asking, do not hesitate to give your answer. Be sure of the job requirements and the responsibilities before quoting a figure. If not sure, ask the Hiring Managers to elaborate their expectations of the candidate to be hired. With a clear understanding of what is required, then you can determine a value as a salary target. Lastly, if and when the Hiring Company contacts you with an offer and you are not sure, check out this article that can shed some light on what to do. We at Crystal Recruit walk with our candidates during the entire hiring process hence the advantage of knowing if your salary expectations are within our client’s budget. Write to us and we will get back to you on your career journey.